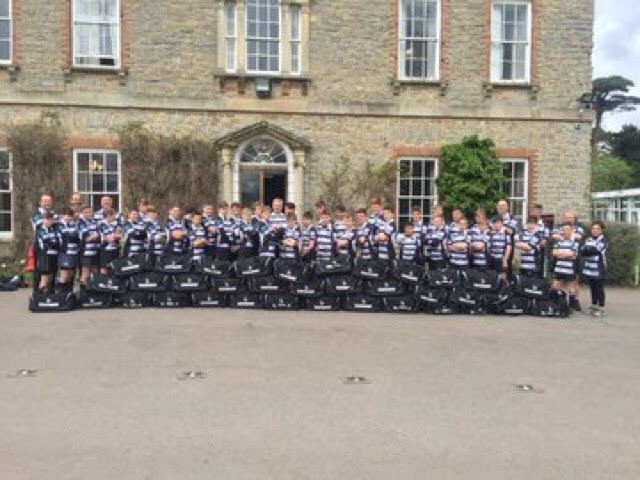 While half of the U14 squad played in a Cup match V Oxford winning 34-7 our other mixed side travelled towards Twickenham. To all our surprise the journey was a good one, even with England playing on the same afternoon, and quicker than some drives to Chippy and others in deepest Oxfordshire. The boys started with a bit of a stutter as promising expansive play ended with frustrating small knock-ons and handling errors, which continued to occur throughout the game. However, when ball was secured it became evident that the opposition had no answer to stopping Freddie Skinner and others at full speed who scored 4 tries in the first half. Even moving him from centre to full back did not stop his scoring as the opposition committed suicide kicking down his throat. Harvey Parker, Tom Clifford and Tom Roberts also contributed to a first half of 8 tries . It was Tom Roberts' first try for Chinnor and much deserved. Good hands and tackling from Aaron Bennett and Harry Wilson was good to see too. At half time we changed things so as to not demoralise the opposition any more. We restricted individual runs to 15M and played some of the boys in unfamiliar positions.This evened it up somewhat as did some decisions from a frustrated coach/referee. The boys dared not enter a ruck in the end for fear of a penalty which was a pity. There was great tackling and jackling throughout from James Harper and Jimmy Leach in particular.A great individual run from Ed Bailey gave him his first try from a frustrating 18mth spell of injuries. On asking him whether he had forgotten about not running over 15M he replied, with a smile, that he thought it was 50m!! Boys will be boys! Our other try came from a comedy of errors from Richmond who attempted to clear the ball when pinned behind their own try line. A kick clearance was charged down by the posts where a number of our boys jumped on the ball to claim the try. It was originally thought Tom Roberts had scored but later the boys said that Danny Powell had got the first touch, which gave him his first try. The opposition did get a deserved try in the end by some sloppy tackling of our own. On the final whistle it was a race to get out of London before the arriving England fans arrived for their try feast. A good day of rugby all round if you were English!